For he stod with ryghtwessness. This is the fifth day of the twelve days of Christmas, and since the twelfth century it has belonged to St Thomas Becket, who was killed on this day in 1170. I won't rehearse the whole story; read about it all here. His chaplain's eyewitness account is also worth reading. The martyred Archbishop became one of England's most popular saints, his shrine at Canterbury perhaps the most famous in the country (and not just because of Chaucer's pilgrims!). At Canterbury Cathedral they commemorate his death with an absolutely wonderful celebration of Vespers, during which the death of St Thomas is liturgically re-enacted. The Archbishop was celebrating Vespers when he was interrupted by the four knights acting in the name of Henry II. The service begins in the choir, sung entirely in plainchant, in the presence of the current Archbishop. Then it is interrupted, as on the day of Thomas' death, by a crashing on the doors, and the clerics, choir and congregation process, as Thomas fled, to the site of his martyrdom. Then they go on into the crypt, where his body was taken, and the service concludes with joyful polyphony hailing the martyr's sacrifice. It's so awesome! I've been for the past two years and am going today as well. For more on the general wonderfulness of Canterbury Cathedral, see this article. Pictures: two medieval depictions of St Thomas' death, at the top an alabaster altar-piece from the church at Elham, and at the bottom a thirteenth-century wall-painting from the church at Brookland, both in Kent. We like him here in Kent, of course. This is a 16th-century lullaby carol, and it's a Scottish translation of a poem by Luther, so we're some way here from the medieval English examples I've recently been posting; but this has become a Christmas standard, in settings by various composers, under the name 'Balulalow'. Personally, I like it because I particularly love 'my dear heart' as a term of endearment - it's what Aslan calls Lucy in Voyage of the Dawn Treader! ;) It has such a gentle sound, here as in 'Myn Lyking'. And neuer mair from thee depart. And sing that richt Balulalow. And never more be parted from thee. From Liber Eliensis: A History of the Isle of Ely from the Seventh Century to the Twelfth, trans. Janet Fairweather (Woodbridge, 2005), p.183. Such a wonderful image: the great king Cnut trying to follow along and keep up in his wagon, as the huge peasant charges ahead across the treacherous ice! I really loved the new Voyage of the Dawn Treader film, having expected to completely hate it. 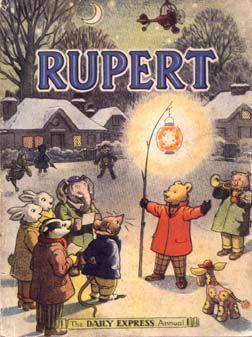 It was one of my favourite books as a child, one of the books which shaped my whole imagination, and very certainly one of the influences which made me a medievalist today. There's no way any adaptation can live up to that kind of love for a book; but even I was impressed by the film, which achieved the (what I would have thought impossible) feat of making a Narnia story more explicitly Christian. All that stuff about evil green mist and temptation and the constant struggle against evil is hardly glanced at in the book, but it actually, implausibly, worked well in the film. I only had one complaint. So many things grate in modern adaptations of classic books, but the language is always the worst: either film-makers honestly can't tell when they have characters talk anachronistically, or they don't care. One gets used to these things, and most of the audience can't tell either; people in general aren't sensitive to the historical niceties of language. But it especially bothers me in the Narnia films because Lewis was so tenderly, playfully careful to get his levels of discourse right. Of course his English children speak 1940s slang, which was entirely absent from the film (I loved that slang so much as a child, in the early 1990s - it was exotic and fun to me, but I imagine the film-makers assume modern children will find it alienating). Even better, Lewis takes any excuse to let his Narnian characters to speak in a pastiche of medieval or Elizabethan language, especially when they're being official. This is how Oxford professors of English literature get their fun, so it's hardly surprising; and even less surprisingly, none of this makes it into the films. "...I will dictate," said Peter. And while the Doctor spread out a parchment and opened his ink-horn and sharpened his pen, Peter leant back with half-closed eyes and recalled to his mind the language in which he had written such things long ago in Narnia's golden age. "Right," he said at last. "And now, if you are ready, Doctor?" "Peter, by the gift of Aslan, by election, by prescription, and by conquest, High King over all Kings in Narnia, Emperor of the Lone Islands and Lord of Cair Paravel, Knight of the Most Noble Order of the Lion, to Miraz, Son of Caspian the Eighth, sometime Lord Protector of Narnia and now styling himself King of Narnia, Greeting. Have you got that?" "Narnia, comma, greeting," muttered the Doctor. "Yes, Sire." "Then begin a new paragraph," said Peter. "For to prevent the effusion of blood, and for the avoiding all other inconveniences likely to grow from the wars now levied in our realm of Narnia, it is our pleasure to adventure our royal person on behalf of our trusty and well-beloved Caspian in clean wager of battle to prove upon your Lordship's body that the said Caspian is lawful King under us in Narnia, both by our gift and by the laws of the Telmarines, and your Lordship twice guilty of treachery both in withholding the dominion of Narnia from the said Caspian and in the most abhominable, - don't forget to spell it with an H, Doctor - bloody, and unnatural murder of your kindly lord and brother King Caspian Ninth of that name. Wherefore we most heartily provoke, challenge, and defy your Lordship to the said combat and monomachy, and have sent these letters by the hand of our well-beloved and royal brother Edmund, sometime King under us in Narnia, Duke of Lantern Waste and Count of the Western March, Knight of the Noble Order of the Table, to whom we have given full power of determining with your Lordship all the conditions of the said battle. Given at our lodging in Aslan's How this XII day of the month Greenroof in the first year of Caspian Tenth of Narnia. "That ought to do," said Peter, drawing a deep breath. This, in a children's book! 'Monomachy' (I had to look that one up) and 'don't forget to spell abhominable with an H'! There's no reason at all to include such scholarly quibbles or such an (to a child) incomprehensible letter, except that I bet Lewis had all the fun in the world writing it. When I was eight years old, I had no idea what this was a pastiche of, or what genre it's self-consciously mimicking, but I thought it was so cool; it was a completely new language to go with the new imaginative world. There are some great examples in Voyage of the Dawn Treader, because Caspian as king gets to say lots of very kingly things in his best elevated rhetoric - Reepicheep, too, the swaggering Walter Raleigh of the piece. It wasn't in the film and I missed it, but never mind. The only thing I did mind was the language of the spells Lucy reads from the magician's book. Lewis doesn't give the text of these, so they were invented for the film, and goodness, they were awful. Someone needs to get a dictionary and look up the word 'sew', because here's a rule of poetry for you, guys: just because it rhymes, that doesn't mean it makes sense. This is an illiterate sentence. It's ungrammatical, and it doesn't mean anything! Lewis would be rolling his eyes. the beauty you've always wanted to be. Are you kidding me? What on earth is that? But what makes this particularly stupid is that we get a good version of this spell in the book! The first words, at least: "An infallible spell to make beautiful her that uttereth it beyond the lot of mortals." Come on. That is so many times better than the film version, it's off the chart. You will notice, as any eight-year-old could notice (even without knowing that they did), that with the inflected ending on uttereth and the archaic use of relative pronoun that where today we would say who, and most of all the fairytale diction of beyond the lot of mortals, Lewis has made an appropriately defamiliarised, medieval-sounding spell in very few words. Did they not want a spell that sounded like a spell? They wanted a spell that sounded like a rhyme out of a Christmas cracker? For goodness' sake. Anyway, these were my only complaints (almost) about a movie which really could have been a lot worse; but they are symptomatic of a cloth-eared ignorance about language which is prevalent in all media today, and very far from the sensitive, nuanced intelligence of Lewis' original. Caspian: I will try to be a better king. If you don't know how to use the comparatives good, better, best, you really ought not to be writing for films. Anyway, this little bit of nonsense replaces my favourite scene in the book, which is rather lengthy, but wonderful in every part. I've posted the whole thing below. Do note the archaisms of Reepicheep ("You shall not please yourself with adventures as if you were a private person"), Edmund's lampshade-hanging reference to Ulysses, and the difference between the dignified rhetoric of Caspian's first speech and his humble schoolboy language in his last ("give to all these, my shipmates, the rewards I promised them" vs. "might as well have behaved decently for all the good I did with my temper and swagger"). They joined Caspian on the poop and soon all the men were crowded together at the foot of the ladder to hear the King's speech. "Friends," said Caspian, "we have now fulfilled the quest on which you embarked. The seven lords are all accounted for and as Sir Reepicheep has sworn never to return, when you reach Ramandu's Land you will doubtless find the Lords Revilian and Argoz and Mavramorn awake. To you, my Lord Drinian, I entrust this ship, bidding you sail to Narnia with all the speed you may, and above all not to land on the Island of Deathwater. And instruct my regent, the Dwarf Trumpkin, to give to all these, my shipmates, the rewards I promised them. They have been earned well. And if I come not again it is my will that the Regent, and Master Cornelius, and Trufflehunter the Badger, and the Lord Drinian choose a King of Narnia with the consent-"
"But, Sire," interrupted Drinian, "are you abdicating?" "I am going with Reepicheep to see the World's End," said Caspian. A low murmur of dismay ran through the sailors. "We will take the boat," said Caspian. "You will have no need of it in these gentle seas and you must build a new one in Ramandu's island. And now-"
"Caspian," said Edmund suddenly and sternly, "you can't do this." "Most certainly," said Reepicheep, "his Majesty cannot." "Can't?" said Caspian sharply, looking for a moment not unlike his uncle Miraz. "Begging your Majesty's pardon," said Rynelf from the deck below, "but if one of us did the same it would be called deserting." "You presume too much on your long service, Rynelf," said Caspian. "No, Sire! He's perfectly right," said Drinian. "By the Mane of Aslan," said Caspian, "I had thought you were all my subjects here, not my schoolmasters." "I'm not," said Edmund, "and I say you can not do this." "Can't again," said Caspian. "What do you mean?" "If it please your Majesty, we mean shall not," said Reepicheep with a very low bow. "You are the King of Narnia. You break faith with all your subjects, and especially with Trumpkin, if you do not return. You shall not please yourself with adventures as if you were a private person. And if your Majesty will not hear reason it will be the truest loyalty of every man on board to follow me in disarming and binding you till you come to your senses." "Quite right," said Edmund. "Like they did with Ulysses when he wanted to go near the Sirens." Caspian's hand had gone to his sword hilt, when Lucy said, "And you've almost promised Ramandu's daughter to go back." Caspian paused. "Well, yes. There is that," he said. He stood irresolute for a moment and then shouted out to the ship in general. "Well, have your way. The quest is ended. We all return. Get the boat up again." "Sire," said Reepicheep, "we do not all return. I, as I explained before -"
"Silence!" thundered Caspian. "I've been lessoned but I'll not be baited. Will no one silence that Mouse?" "Your Majesty promised," said Reepicheep, "to be good lord to the Talking Beasts of Narnia." "Talking beasts, yes," said Caspian. "I said nothing about beasts that never stop talking." And he flung down the ladder in a temper and went into the cabin, slamming the door. But when the others rejoined him a little later they found him changed; he was white and there were tears in his eyes. "It's no good," he said. "I might as well have behaved decently for all the good I did with my temper and swagger. Aslan has spoken to me. No - I don't mean he was actually here. He wouldn't fit into the cabin, for one thing. But that gold lion's head on the wall came to life and spoke to me. It was terrible - his eyes. Not that he was at all rough with me - only a bit stern at first. But it was terrible all the same. And he said - he said - oh, I can't bear it. The worst thing he could have said. You're to go on - Reep and Edmund, and Lucy, and Eustace; and I'm to go back. Alone. And at once. And what is the good of anything?" "Caspian, dear," said Lucy. "You knew we'd have to go back to our own world sooner or later." "Yes," said Caspian with a sob, "but this is sooner." "You'll feel better when you get back to Ramandu's Island," said Lucy. Christmas is very close now; it's time for the first of the O Antiphons. "Cnut or Knud, in one syllable, is this King’s true name, and the best Latin form is Cnuto, according to the usual way of Latinizing Scandinavian names. The form Canutus seems to have arisen from Pope Paschal the Second’s inability to say Cnut. The later King Cnut, the supposed martyr, was therefore canonized by him as “Sanctus Canutus”. [Æthelnoth, author of a Life of Saint Cnut,] an English monk settled in Denmark, thinks the lengthening of the name a great honour, and compares it with the change from Abram to Abraham; but he somewhat inconsistently cuts down his own name to Ailnothus." I don't know if this is true, but it is amusing. A restored medieval wall-painting at Dorchester Abbey, Oxfordshire. This song comes from a fifteenth-century manuscript containing the Processional of St Mary's, Chester, not the churches which bear that name today but a medieval nunnery of which nothing now survives. This site provides a useful history, although please don't trust the final paragraph, which seems to have been taken from this book and gives an oddly misleading picture of pre-Reformation English carols. The Chester Nuns' Song is not "one of the typical carols of late medieval England"; the idea that secular carols and carols in English belong only to the post-Reformation period, while typical medieval carols were Latin and religious, is patently absurd. Also, although I would have to be more familiar with the manuscript to say for sure, I'm assuming that a song in a Processional has some kind of liturgical context; hence the atypical Latin, I would think. And don't believe statements you will find elsewhere on the internet which claim this is the earliest English carol; not by a long way! Latin does not automatically equal ancient. Or typically medieval. Sigh. However, this is a pretty little song, though the editors of The Oxford Book of Carols are right to say it "only loses by translation"; but if you're curious you can find a good translation here. There's not much to say about the poetry, which doesn't seem particularly inspired to me. However, fortunately, and unusually for a medieval carol, the music was preserved along with the words. I could only find this version on youtube, but it's a nice one. "There was a mound built of clods of earth which greedy comers to the waste had dug open, in the hope of finding treasure there... and in this Guthlac the man of blessed memory began to dwell, after building a hut over it." Translated by Bertram Colgrave, Felix’s Life of Saint Guthlac (Cambridge, 1956), pp.93-5. St Guthlac (b.674) was a nobly-born soldier from the Anglo-Saxon kingdom of Mercia, who had repented of his warlike life and become a monk. Seeking a place where he could live as a hermit, he came to the marshy wasteland of the Fens and settled at Crowland (now in Lincolnshire) in 699. He made his hermitage in what was probably an ancient long barrow - though the grave-robbers had been there first. This cell is traditionally supposed to have been at a site called Anchor Church (or Anchorite) hill, about a quarter of a mile north-east of the site of present-day Crowland Abbey. Until 1866 the site was owned by the Hickling family, whose name may or may not (over the course of 1200 years) be connected to the tribe of Guthlac's ancestors, the Iclingas. The lapse of age and mystery profound. Till even one’s very shadow seems to fear. More on Crowland the courteous. Today is St Lucy's Day, and after a misty morning the sun is now shining brightly - it doesn't look like deepest winter here at all. Nonetheless, this day belongs to one dark poem for me, perhaps the saddest elegy in English and the most complex of all John Donne's riddling poems. Compar’d with mee, who am their Epitaph. In whom love wrought new Alchimie. Of absence, darknesse, death—things which are not. Withdrew our soules, and made us carcasses. But I am None; nor will my Sunne renew. Bothe the yeares, and the dayes deep midnight is. "This endris night" means "the other night". Why liest thou thus in hay? To sing By by, lullay." In crib though I be laid. Thou knowest 'tis no nay. To sing, By by, lullay." Why art thou laid in stall? In some great kinges hall? Should lie in good array. And so shall kingès all. Shall come on this twelfth day. And sing, By by, lullay." And make thee glad of cheer? And handle me full soft. Thou sing, By by, lullay. Why weepest thou so sore? After reading up on 'Myn Lyking' the other day, I got to thinking about these medieval 'lullaby lyrics', in which the speaker watches the Virgin singing a lullaby to the baby Christ. There are a fair number of them, as it seems to have become an increasingly popular genre over the course of the 14th-15th century. At the same time, English poets and preachers were beginning to make more use of the Pieta image - Mary holding the body of the dead Christ - and the opportunity for poetic contrast between the two is clear. Often the lullabies have the infant Christ speaking about his future death, or make some other reference to it; and this poem makes a really wonderful use of the opposite idea, as Mary recalls Christ's babyhood while embracing his dead body. Some of the poems step a little close to sentimentality for modern taste, but others are very effective. Over the next few weeks, I want to dig out and post about some of the lullabies (the Pieta lyrics will have to wait until Easter!). Lollai, lollai, litil child, whi wepistou so sore? As thin eldren did er this while hi aliues wore. Lollai, lollai, litil child, child lolai, lullow. Into vncuth world incommen so ertow. Al bot the wrech brol that is of Adamis blode. Thou nost noght this worldis wild before the is isette. Thench thou were ifostred vp thi moder kne. Whan thou commist, what thou art and what ssal com of the. With sorow thou com into this world, with sorow ssalt wend awai. Ne tristou to this world, hit is thi ful vo. Hit turneth wo to wel and ek wel to wo. Ne trist no man to this world, whil hit turnith so. Lollai, lollai, litil child, thi fote is in the whele. Thou nost whoder turne to wo other wele. Thou wandrest in this fals world, thou loke the bifor. Adamis kin dun to cast, him silf hath ido befor. In the lond of paradis, throgh wikidnes of Satan. Deth the sal betide with bitter bale in brest. Whan he of the appil ete and Eue hit him betacht. The meaning of 'out of a well dim horre' is not at all clear, and so I haven't tried to translate it. Blackwells Theology Department, Friday, 4pm. Two young women, apparently students (hopefully not of theology). First Girl (seeing a book): Oh, Thomas Merton. I've always wondered if that's who Merton College is named after. A poem by the very lovely Rupert Brooke. I just experienced one of those exciting coincidences which sometimes happens as you trawl through academic research. Today I learned for the first time (and this is probably something I should have known before, but we'll let that pass) that in 1068 William the Conqueror sent an embassy to King Sweyn of Denmark, seeking peace. 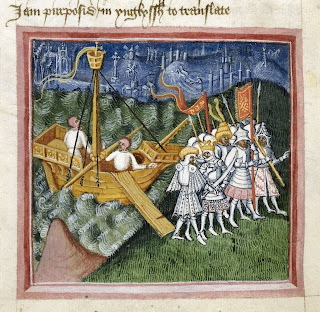 As the nephew of Cnut, Sweyn had a claim to the English throne which was arguably stronger than William's; he was shortly to make good on this by sending a fleet to challenge William, though he was ultimately unsuccessful. Anyway, the interesting point to me (as someone who studies Scandinavian influence in medieval England) is that William took Sweyn's claims seriously enough to seek to make peace with him and forestall an invasion. This was intriguing enough for my purposes; the Danes were still a real political force in England. Now, I was also interested in the fact that the leader of William's embassy was Æthelsige, abbot of Ramsey. Ramsey (which is now in Cambridgeshire, but at this time, before Cambridge existed, was in Huntingdonshire) was an abbey with strong Scandinavian connections, situated in the former Danelaw. Did William, I wondered, pick Æthelsige because he knew something about the Danes - maybe because he spoke their language? 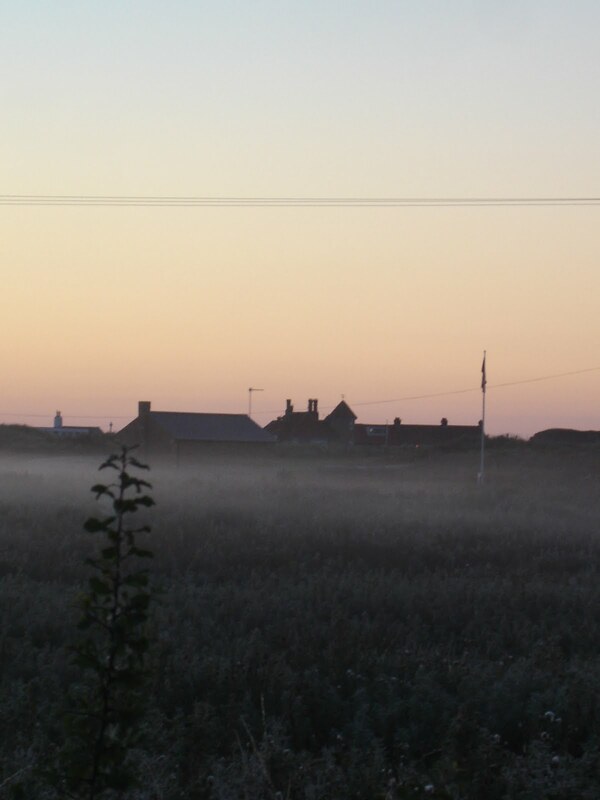 Ramsey is one of those obscure but fascinating Fenland abbeys I spend my time trying to make sense of; they seem to have cultivated a distinctive literary culture which was strongly linked to Denmark and Norway. But then (and here's the coincidence), guess what happened to Æthelsige on the way back from Denmark? His ship got caught in stormy seas, and he made a promise that if he was saved he would establish the Feast of the Conception of the Virgin Mary in his monastery at Ramsey. That was, according to the Catholic Encyclopedia, the beginning of the feast in Norman England. None but her own omniscient Son can tell. Joyed for herself and for all human race. A thousandfold of love for love repaid. All generations are to call her blest. Only very doubtfully ascribed, mind you, but any excuse to post it will do. With dawning glories of the eternal day. Sunshine at Canterbury Cathedral. Just because. This is Gustav Holst's setting of 'Lullay, Myn Lyking'. The carol survives in the precious 15th-century manuscript Sloane 2593, which contains many of the best medieval lyrics and carols, including 'Adam lay ybounden', 'I syng of a mayden', 'A babe is born all of a may' and a particularly special Robin Hood ballad. Lullay, my dere herte, myn owyn dere derlyng. Sche lullyd a lytyl chyld, a swete lordyng. Of alle lordis he is lord, of alle kynges kyng. Alle tho wern in hevene blys thei made mekyl merthe. "Blyssid be thou, and so be sche that is bothe mek and myld". Grawnt hem his blyssyng that now makyn chere. The three endearments lykyng, swetyng and derling all essentially mean 'dear little one''; lykyng means something like 'the thing which is pleasing to me', and so myn lykyng is 'the one I delight in, the one who gives me pleasure'. Lullay, my dear heart, my own dear darling. She lulled a little child, a sweet little lord. Of all lords he is Lord, of all kings King. All those who were in heavenly bliss made great rejoicing. "Blessed be thou, and so be she who is both meek and mild". May he grant his blessing to those who are now celebrating. From which there's no escape. Its burden and its bliss. What it is I love? Held in the world's vice. All the world's day long. Is there anything more horrible than writing applications for grants? It leaves a taste in the mouth like nasty medicine. It's my understanding that writing grant applications makes up a substantial part of life as an academic these days; just one of many reasons why I don't think I could bear to make academia my career. A spoonful of honey to make the medicine go down. This brief story from Orkneyinga saga, the twelfth-century history of the Earls of Orkney, is chiefly of importance to me because it shows that medieval Englishmen were praying to a Norse saint. I can't make up my mind whether, as miracle-stories go, it's slightly odd or rather touching. The St Magnus in question is the martyred earl of Orkney Magnus Erlendsson (d.1116/7). It's been snowing today. I'm sick of snow. And I'm glad November is over. He for fledging-time has chosen. Him who cometh from the east. More stained-glass Anglo-Saxons, this time from my own county of Kent. For some reason I can only find a set of windows from one church, at Minster-in-Thanet, but they're good ones. I like the axe casually cast aside on the ground in this window. I'm not sure why the building in the top left corner looks so much like Stonehenge - it might be meant to be the Roman fort of Richborough, not far from Ebbsfleet. If it isn't, it should be! 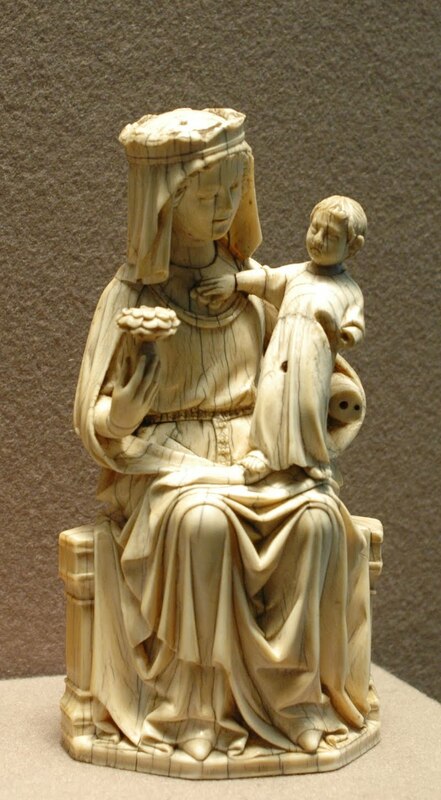 Bertha, wife of the King of Kent, was already a Christian, and had brought a Frankish bishop with her to England when she married King Ethelbert. With the permission of her pagan husband, she had restored a Roman church in Canterbury before the arrival of Augustine's mission; that's it in her arms, I think. It's St Martin's, the oldest parish church in continuous use in England. Her influence seems to have played an important part in encouraging her husband to accept Christianity. There she is in the background as Ethelbert is baptised; just beautiful. I think Bertha and St Margaret of Scotland would have found a lot in common. This is from the church at the royal castle at Bamburgh, the site of his death; it shows the moment of his death, which took place in 651. This is a really delightful composition. I particularly like the bearded Bede, intent on his book, and St Columba's flowing robes. There haven't been enough pictures around here recently. And so, in no particular order, here's a collection of some stained-glass Anglo-Saxons, from various churches. The windows are mostly 20th-century, but revivalism is often just as dear to me as the real thing... It's important that this history is commemorated, and in the late 19th/early 20th centuries the English church understood that rather better than it does today. Hence the ship at the bottom. Note that he's being crowned by St Dunstan. Here are some more kings, this time from Wells Cathedral. I got rather excited when I saw this window - six Anglo-Saxon kings all in one go! Then Athelstan, the victor of the battle of Brunanburh, a 'warrior king' indeed; and Edgar again. Before we leave Wessex, here's a non-royal Anglo-Saxon: Eilmer the flying monk, from Malmesbury Abbey. Do read the link on him; he's just wonderful. An eleventh-century attempt at human flight! And also from Malmesbury, St Aldhelm, holding a plan of the monastery he founded (below). Although William of Malmesbury, next to him, isn't actually an Anglo-Saxon (since he lived in the twelfth century and all), it's nice that he should have a place here, since he was the first real scholar of Anglo-Saxon history. I use his work twenty times a day, and can only aspire to be half the historian he was. This commemorates one of the most important events of Alfred's reign, the peace treaty he signed with the Danes in which the Viking leader, Guthrum, agreed to be baptised with Alfred as his godfather. There's an indistinguishable lump of stone in the church which they say might be the font used in that baptism; well, you never know. That will have to be enough for today; tomorrow, Northumbria and Kent. This is a tough day for me, loyalties-wise. On this day in 869, Edmund, King of East Anglia, was killed after refusing to submit to the Danish army who were ravaging his kingdom. Though I blithely say 'killed', I should mention that the (St Sebastian-influenced, but nonetheless widely accepted) story says he was tied to a tree, beaten, shot through with arrows like a hedgehog, and then beheaded. Before long he began to be revered as a martyr (that's what happens when you're killed by something called 'the Great Heathen Army') and got Bury St Edmunds named after him. His death became one of the defining images of Viking aggression, even among (later, Christian) Norse writers. So today is rather a sad day for those of us who like both Old Norse and Old English, because a lot of the time Vikings wrote really good poetry and fantastic sagas, but then sometimes they also brutally murdered people. Þa suwode se cynincg and beseah to þære eorþan, and cwæþ þa æt nextan cynelice him to,"Eala þu bisceop, to bysmore synd getawode þas earman landleoda, and me nu leofre wære þæt ic on feohte feolle wið þam þe min folc moste heora eardes brucan." Then the king became very quiet and looked at the ground, and at last said to him in a kingly manner: "Alas, bishop, the poor people of this land are shamefully mistreated, and it would now be preferable to me to fall in battle so that my people might continue to enjoy their land." And se bisceop cwæþ, "Eala þu leofa cyning, þin folc lið ofslagen, and þu næfst þone fultum þæt þu feohtan mæge, and þas flotmen cumað, and þe cucenne gebindað butan þu mid fleame þinum feore gebeorge, oððe þu þe swa gebeorge þæt þu buge to him." Þa cwæð Eadmund cyning swa swa he ful cene wæs, "þæs ic gewilnige and gewisce mid mode, þæt ic ana ne belife æfter minum leofum þegnum þe on heora bedde wurdon, mid bearnum and wifum, færlice ofslægene fram þysum flotmannum. Næs me næfre gewunelic þæt ic worhte fleames, ac ic wolde swiðor sweltan gif ic þorfte for minum agenum earde, and se ælmihtiga God wat þæt ic nelle abugan fram his biggengum æfre, ne fram his soþan lufe, swelte ic, lybbe ic." And the bishop said, "Alas, dear king, your people lie slain, and you do not have sufficient forces with which you can fight, and these seamen will come and bind you alive unless you preserve your life by flight, or save yourself by yielding to him." 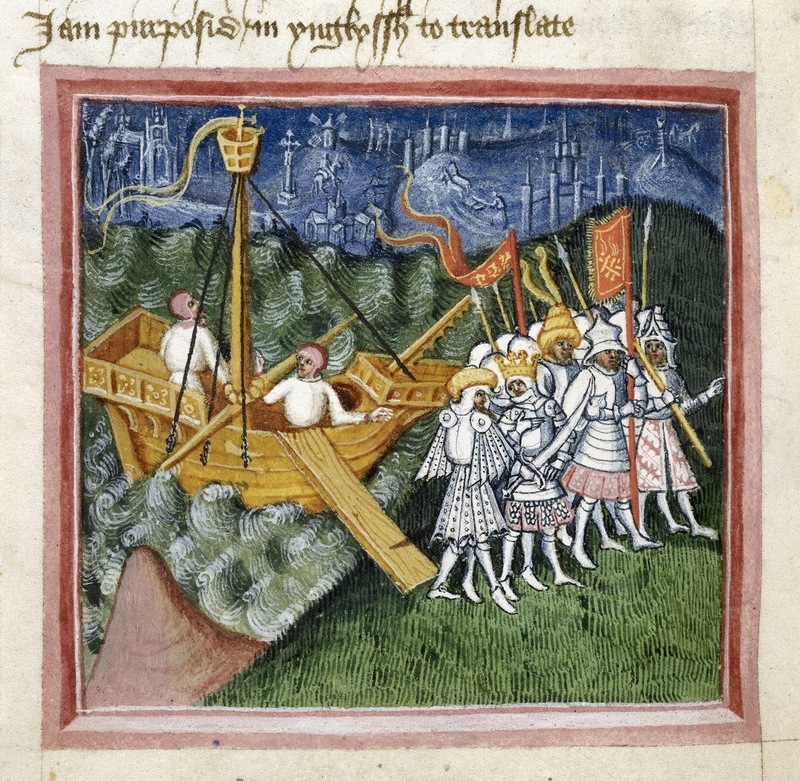 Then said Edmund the king, very bravely: "This I desire and wish in my mind, that I should not survive alone after my dear thanes, who have been suddenly slain in their beds by these seamen, with their children and their wives. It has never been my custom to flee; I would rather die, if necessary, for my own land; and almighty God knows that I will never turn aside from His worship, nor from His true love, whether I die or live." "By the help of God she made [Malcolm] most attentive to the works of justice, mercy, almsgiving, and other virtues. From her he learnt how to keep the vigils of the night in constant prayer; she instructed him by her exhortation and example how to pray to God with groanings from the heart and abundance of tears. I was astonished, I confess, at this great miracle of God's mercy when I perceived in the king such a steady earnestness in his devotion, and I wondered how it was that there could exist in the heart of a man living in the world such an entire sorrow for sin. There was in him a sort of dread of offending one whose life was so venerable; for he could not but perceive from her conduct that Christ dwelt within her; nay, more, he readily obeyed her wishes and prudent counsels in all things. Whatever she refused, he refused also; whatever pleased her, he also loved for the love of her. Hence it was that, although he could not read, he would turn over and examine books which she used either for her devotions or her study; and whenever he heard her say that she was fonder of one of them than the others, this one he too used to look at with special affection, kissing it, and often taking it into his hands. Sometimes he sent for a worker in precious metals, whom he commanded to ornament that volume with gold and gems, and when the work was finished, the king himself used to carry the volume to the queen as a kind proof of his devotion." "Now and then she helped herself to something or other out of the King's private property, it mattered not what it was, to give to a poor person; and this pious plundering the King always took pleasantly and in good part. It was his custom to offer certain coins of gold upon Maundy Thursday and at High Mass, some of which coins the Queen often devoutly pillaged, and bestowed on the beggar who was petitioning her for help. Although the King was fully aware of the theft, he generally pretended to know nothing of it, and felt much amused by it. Now and then he caught the Queen in the very act, with the money in her hand, and laughingly threatened that he would have her arrested, tried, and found guilty." Her on þissum geare se cyng gerædde 7 his witan. þæt man sceolde gafol gyldon þam flotan. 7 frið wið hi geniman wið þon þe hi heora yfeles geswican sceoldan. Ða sende se cyng to þam flotan Leofsig ealdorman. 7 he þa þæs cynges worde 7 his witena grið wið hi gesætte. 7 þet hi to metsunge fengon 7 to gafle. 7 hi þa þæt underfengon. 7 him man þa geald .xxiiii. þusend punda. Ða on gemang þysum ofsloh Leofsig ealdorman Æfic þæs cynges heahgerefan. 7 se cyng hine ða geutode of earde. And þa on þam ilcan lengtene com seo hlæfdige Ricardes dohtor hider to lande. On ðam ilcan sumera Ealdulf arcebiscop forðferde. 7 on ðam geare se cyng het ofslean ealle ða Deniscan men þe on Angelcynne wæron on Bricius messedæg. forþon þam cynge wæs gecydd þæt hi woldon hine besyrewian æt his life. 7 syððan ealle his witan. 7 habban syþðan his rice. That's all the Chronicle tells us - the order, and why it was given, but not how and where it was carried out. The armies of the Danish king Svein Forkbeard and other Scandinavian leaders had been raiding England on and off for the past decade, so Æthelred could be forgiven for being desperate and a bit paranoid - but St Brice's Day did little to help, and probably made things worse. We know from a contemporary source that in Oxford - a border town where the Danish residents were as likely to be traders as Viking warriors - a group of Danes took refuge in St Frideswide's church (on the site of what is now Christ Church Cathedral), and the church was burned down by their pursuers. The order was impractical from the outset, because in the early eleventh century it would have been impossible to kill 'all the Danes among the English'; there were just too many of them, and the order certainly could not have been carried out in the north and east of England, a mixed population with many people of Danish or part-Danish descent (just ten years later this part of England would reject Æthelred and accept Svein Forkbeard as king - can't imagine why!). Perhaps the idea was not really to encourage people to kill their neighbours but to force them to choose sides, to affirm that they were part of the Angelcynn and not sympathetic to the Danes. But in practice the order must have been directed at small communities settled within towns like Oxford, which makes it a particularly cruel and ineffective idea - this was the kind of bad counsel which got Æthelred his nickname 'Unready' ('ill-advised'). The marriage which took place in that year was not well-omened: 'the Lady' mentioned by the Chronicle, the formidable Emma, came to England to marry Æthelred, and the following year gave birth to his son Edward (the future Confessor) - but she ended up fifteen years later married to her husband's enemy, Cnut. You can see what a chaotic state the English nobility were in from that odd reference in the Chronicle to Ealdorman Leofsige killing Æfic and being exiled. The atrocities of the Viking Age were not, by any means, all on the Viking side. King Ethelred’s pride increased and his faithlessness grew: in a treacherous plot, he ordered all the Danes who were living peacefully in England to be put to death on the same day, namely the feast of St Brice. Concerning this crime, in my childhood I heard very old men say that the king had sent secret letters to every city, according to which the English either maimed all the unsuspecting Danes on the same day and hour with their swords, or, suddenly, at the same moment, captured them and destroyed them by fire. Historia Anglorum, ed. and trans. by Diana Greenway (Oxford, 1996), p. 341. [When Svein invaded England] his chief purpose was to avenge his sister Gunnhild. Gunnhild, who was a woman of some beauty and much character, had come to England with her husband the powerful jarl Pallig, adopted Christianity, and offered herself as a hostage for peace with the Danes. [Æthelred's chief adviser] Eadric in his disastrous fury had ordered her to be beheaded with the other Danes, though she declared plainly that the shedding of her blood would cost all England dear. 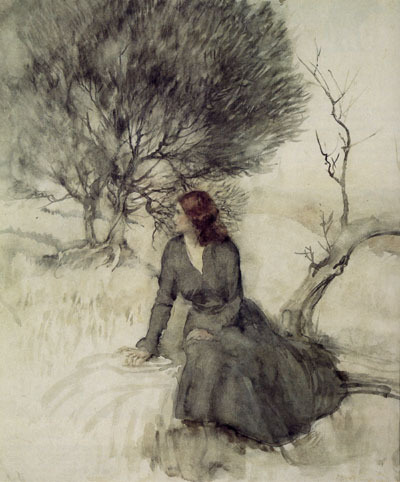 And for her part, she faced death with presence of mind; she never grew pale at the prospect, nor did she change expression after death, even when her body was drained of blood, though her husband had been killed before her eyes, and her son, a very likely child, pierced by four lances. Gesta Regum Anglorum, ed. and trans. by R. A. B. Mynors, R. M. Thomson and M. Winterbottom (Oxford, 1998) p. 301. There may a grain of truth in this story; Pallig was a Danish warrior who had been recruited to fight for Æthelred and then turned against him in 1001, so Æthelred might well have taken the opportunity of St Brice's Day to kill him. And it's not impossible that he was married to Svein's sister and that they were both killed in 1002. But Gunnhild's bravery and her prophecy - 'the shedding of her blood would cost all England dear' - are pure legend, and interesting for that reason. Vengeance for such a death is a noble motive for an invasion, and avenging his valiant sister casts Svein in a more positive light than English sources usually do. There are multiple stories which say the Danes invaded England to avenge the death of an innocent family member, and in my view they were originally part of a kind of mythologising and justifying of the Danish conquest which went on in the early eleventh century (whether a later writer like William of Malmesbury intended this by repeating them or not). It's attractive to give a story a human motive like love or revenge, part of the process which turns historical events into legend and memory. Gunnhild's bravery on St Brice's Day is the stuff of such legend, and who knows whether Svein and Cnut really thought Æthelred was responsible for her death; but it's a nice irony that some years later, when Cnut married Æthelred's widow, 'the Lady' Emma who came to England in the year of St Brice's Day, they named their daughter Gunnhild. A little collection of common versions of saints' names, which for some reason I found rather lovely. It's a note to the observation that there was a St Tooley's Church (a corruption of St Olaf) in Norwich, pulled down in 1546. There is evidence that the t of Saint was similarly prefixed to Olave at St Olave's Bridge, Southwark, Chichester, Bradford-on-Avon, Chester, Dublin and North Widewall (Orkney)... Useful parallels are the form St Twosole recorded by John Aubrey (Remaines of Gentilisme and Judaisme, p. 29) as the Wiltshire country folk's rendering of S. Oswald; the pronunciation [tu 'zi] for St Osyth, in the seventeenth-century Seinte Toosie (PN Essex 348); T'andry cakes, made in Bucks on the feast of S. Andrew (W. Henderson, Notes on the Folk-Lore of the Northern Counties, 2nd ed., p. 98); tawdry, originally applied to laces (neckties) bought at St Audrey's Fair at Ely; Tan Gate (PN. Wilts 22), which was Seynt Anne Gate in 1455. Bruce Dickins, ‘The Cult of S. Olave in the British Isles’, Saga-book of the Viking Society XII (1937-45), 53-80 (61, n.4). I knew that 'tawdry' came from St Audrey (itself a corruption of St Æthelthryth) but the others are new to me. "I steadfastly believe that the holy deeds of the Angles and Saxons of England could be no less edifying to northern Christians than the deeds of Greeks and Egyptians, which devoted scholars have fully recorded in lengthy narratives that are freely studied and give much pleasure. Moreover, I believe that, little as these things are known amongst our own countrymen, they must prove all the more pleasing and full of grace to men of ardent charity." Thanks, Orderic Vitalis; I quite agree. "A jackdaw dropped a document it had seized into the middle of a pool; yet by the merits of the man of God it was undamaged by the water as it caught on a reed, and Guthlac restored it safely to the anxious scribe". There you go, a saint for any student who's ever dropped their work in a puddle. Give one thing more, a gratefull heart.